Here You will find out how to order your very own VCS Bass Guitar. The different body styles and available options and packages as well as pricing. 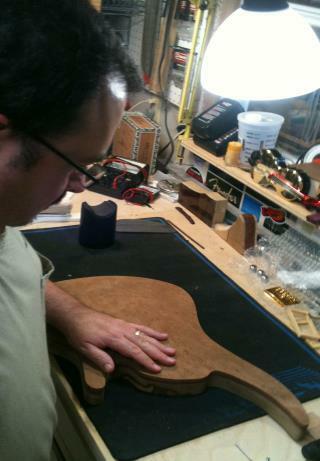 Here You will find out how to order your very own VCS Guitar. The different body styles and available options and packages as well as pricing. This area is where you will find out more about the lutherie services that we offer. Luthier Mark Vinciguerra and his dedicated and well trained staff, will treat your instrument with all of the care of their own instruments. Whether it is in for a setup and new strings, or a full re-fret or re-finish. Vinciguerra Custom Shop Guitars was founded in 1994 by Luthier Mark Vinciguerra. Kevin Johnson at "No Treble"